NCERT Textbook Solutions are considered extremely helpful when preparing for your CBSE Class 7 Geography exams. TopperLearning study resources infuse profound knowledge, and our Textbook Solutions compiled by our subject experts are no different. Here you will find all the answers to the NCERT textbook questions of Chapter 9 - Life in the Temperate Grasslands. All our solutions for Chapter 9 - Life in the Temperate Grasslands are prepared considering the latest CBSE syllabus, and they are amended from time to time. Our free NCERT Textbook Solutions for CBSE Class 7 Geography will strengthen your fundamentals in this chapter and can help you to score more marks in the examination. Refer to our Textbook Solutions any time, while doing your homework or while preparing for the exam. 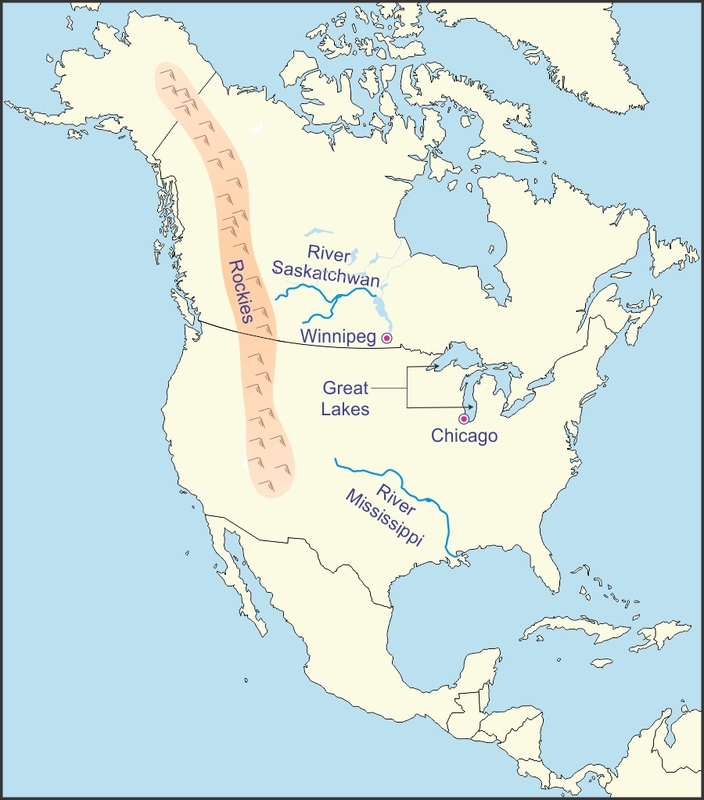 (i) The temperate grasslands of North America are known as the ‘Prairies’. (ii) The cattle farms in the North American grasslands are called ‘ranches’. (iii) The Velds are drained by the rivers Orange and the Limpopo . (iv) In the Velds, the rainy season lasts from the month of November to the month of February. (v) The main occupation of the inhabitants of South African grasslands is sheep rearing. Dairy farming and mining are also practiced. (i) The farmers in the Prairies have adopted modern methods of cultivation and advanced equipment like tractors, combines and harvesters. This has resulted in this area become a surplus producer, especially of wheat. Therefore the Prairies are known as the ‘Granaries of the World’. (ii) Sheep rearing is the most important occupation in the Velds. The terrain and the atmosphere are conducive for the production of wool. Therefore, a thriving wool industry has developed in the Velds. TopperLearning provides step-by-step solutions for each question in each chapter in the NCERT textbook. Access Chapter 9 - Life in the Temperate Grasslands here for free.